Genius profiler Lee Hyeon (Seo In-Guk), returns home to Korea after something from a case he’s been sent triggers a memory he thought he’d lost forever. Unbeknownst to him, one of his team members, Detective Cha Ji-An (Jang Na-Ra), has been investigating him for some time. She is aware that his father was murdered and his brother, Lee Min, disappeared under mysterious circumstances involving a criminal named Lee Joon-Yeong—whom they both want to find and incarcerated. Each seeks to unravel the other, unaware that they’ve been drawn into a dangerous game of cat and mouse by a master player and that both truth and evil are closer and far more twisted than they think. I know the main reason why I watch Hello Monster is because of Park Bo-Gum. Yes, I know you all must be thinking. Not again. But before you judge me, let me explain myself first. In the end, I decided to actually watch this drama is because there are so many good reviews about it even though Hello Monster received quite a lacksture ratings. 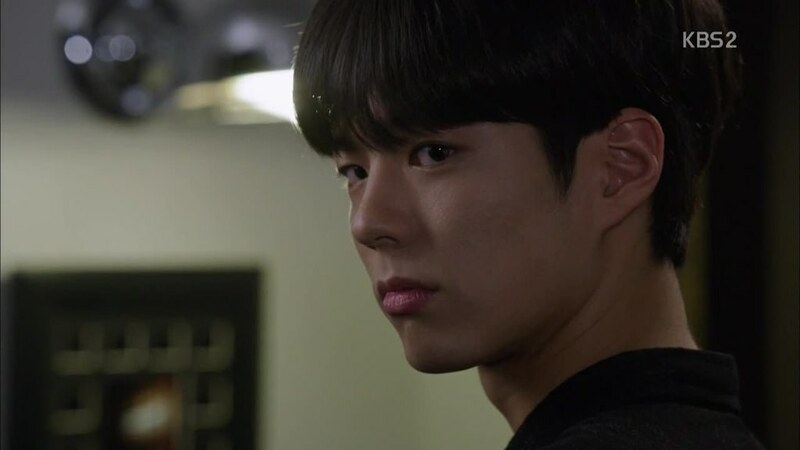 Audiences and critics have been praising the story of Hello Monster and the performances of the cast, particularly Park Bo-Gum’s performance. I was reluctant at first, I must admit, because of its low ratings but since everyone seemed to like this drama, I finally decided to watch it. 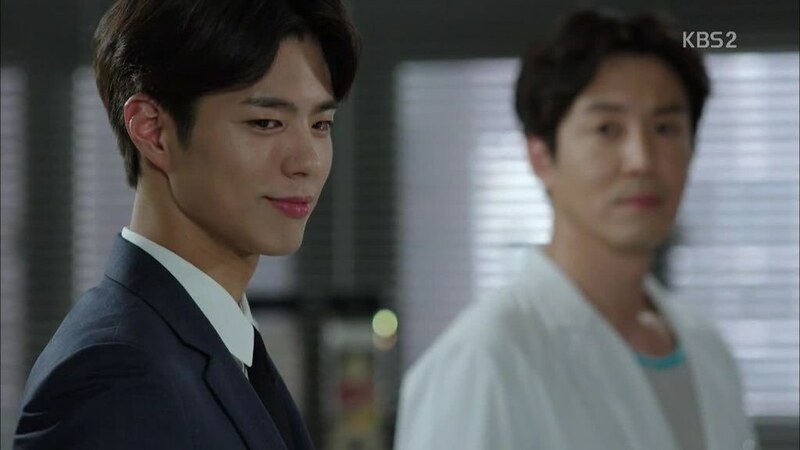 Not just because of Park Bo-Gum, but because I feel like Hello Monster is the kind of drama that I would certainly like the crime and complicated stories in it. And I was right. I do like Hello Monster. Love it, actually, because this drama turned out to be so good. So well written and executed. Those reviews that I’ve been reading, they weren’t lying when they said Hello Monster is a very good drama. I too don’t understand why the ratings were low. However, I’m glad that I don’t judge a drama by its ratings because, in the end, Hello Monster turned out to be an excellent drama after all. I’ve seen Seo In-Guk before in Master’s Sun (2013). He was playing the second lead there. Now, in Hello Monster, Seo In-Guk played the main character, Lee Hyeon, a genius profiler. Seo In-Guk did great in bringing his character to life. His facial expressions were spot on. He was good in portraying a genius person with some mysterious and arrogance vibe. Seo In-Guk managed to look very cool and calm and give the sense and aura of a genius person. He even could do sad scenes really well to the point of heart-wrenching when you saw him. Seo In-Guk also nailed the character of a big brother. The way he treated his little brother, patting his brother’s head, took care of him, and so on, were great. I don’t have any older brother but I imagine if I really have one, he would be like Lee Hyeon. Protecting his younger sibling at all cost. Well, all cost being a good cost. Seo In-Guk really nailed that part of Lee Hyeon and even other aspects of Lee Hyeon. As much as I like to say Seo In-Guk is the star of the drama, I have to admit that Park Bo-Gum is indeed the scene-stealer. He managed to catch the viewers’ eyes every time he showed up on screen. 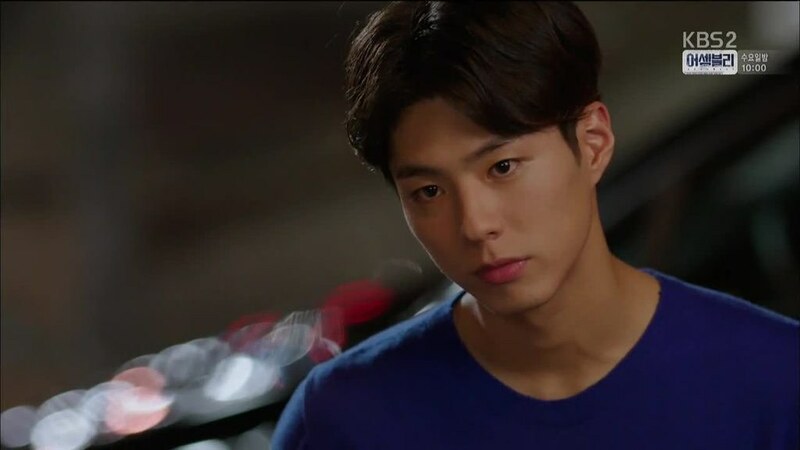 I am not saying this because I love Park Bo-Gum, no. I say this because everyone also has been saying the same thing too. Because Park Bo-Gum really stood out in every scene he was in. 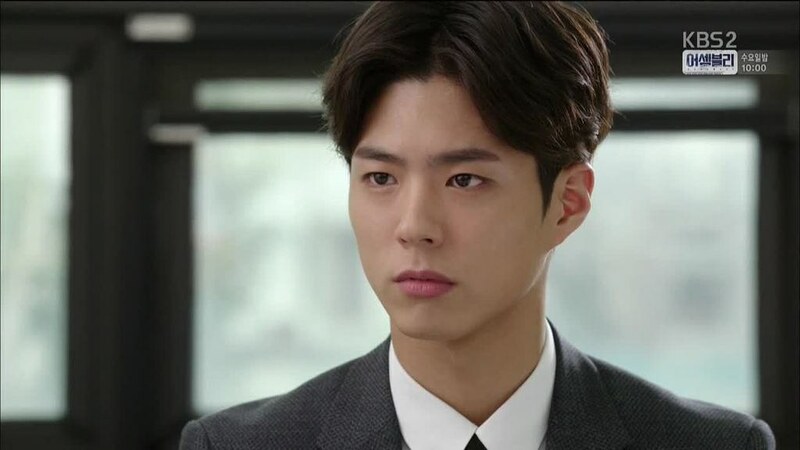 Park Bo-Gum played the role of Attorney Jang Seon-Ho. 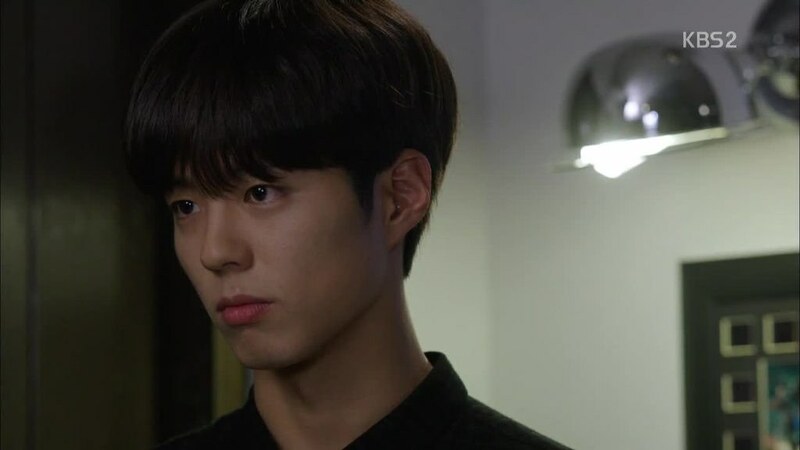 By this time around, I think I have seen enough of Park Bo-Gum that I can say he can do any kind of character and nailed them. From a playful and charming Joseon Crown Prince in Moonlight Drawn by Clouds (2016), a genius and innocent Baduk player in Reply 1988 (2015-2016), a prodigy cellist in Tomorrow’s Cantabile (2014), and now a mysterious and psychopathic lawyer in Hello Monster. Not to mention other roles in other dramas and films that I haven’t seen. Park Bo-Gum nailed every role. 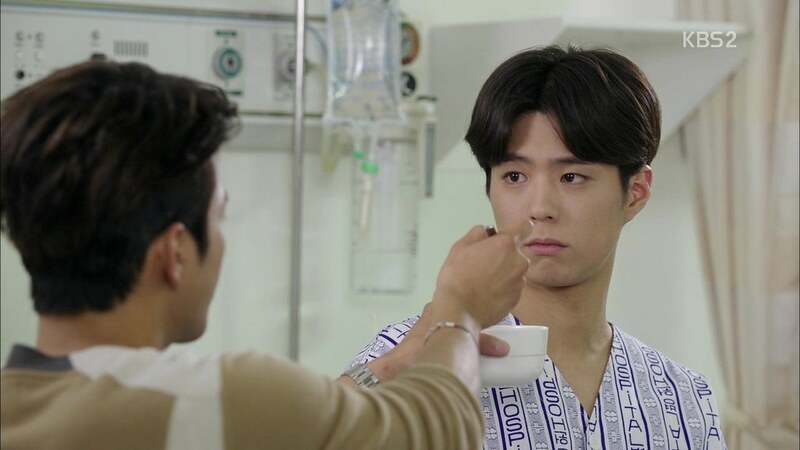 Park Bo-Gum really has proven us that he is a versatile actor. It wasn’t for nothing when people said he gained popularity for his diverse range of roles because he has portrayed many kinds of characters and every time he succeeds. 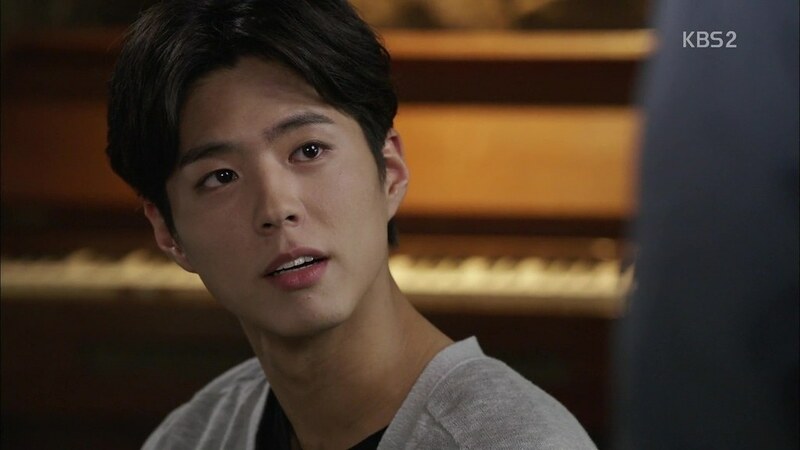 Every roles that he played was so different that every time you watched Park Bo-Gum, you would see a new side of him that you haven’t seen before. Park Bo-Gum surely is a great actor that will have long-lasting journey and success in film and Korean dramas industry. Okay, let’s get back to Hello Monster. 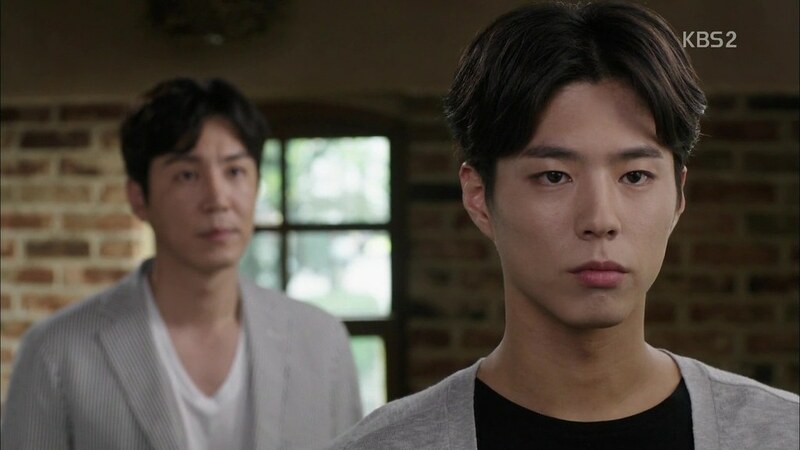 As I was saying, Park Bo-Gum played the role of Attorney Jeong Seon-Ho, a mysterious lawyer that showed up from nowhere and seemed to be lingering around Lee Hyeon. 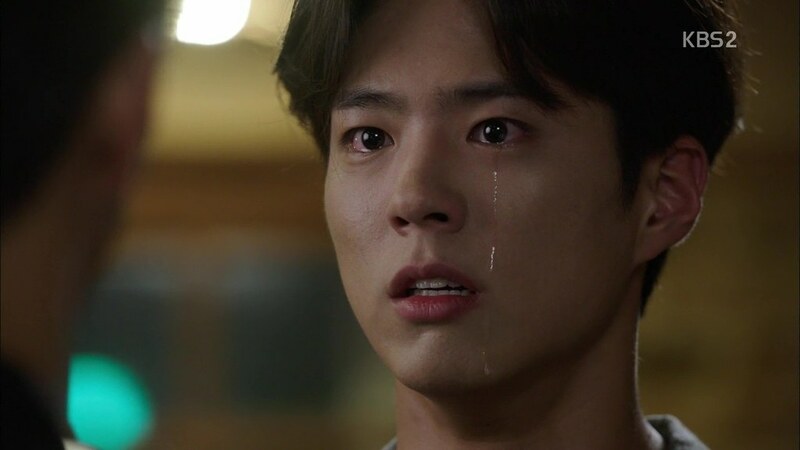 Park Bo-Gum’s acting is just impressive. He went from chilling to heartbreaking in a split second so effortlessly. His split-second expression from smiling to resentful is impressive. His mysterious and kind of psychopathic stare and smile would give you chill and thrill. 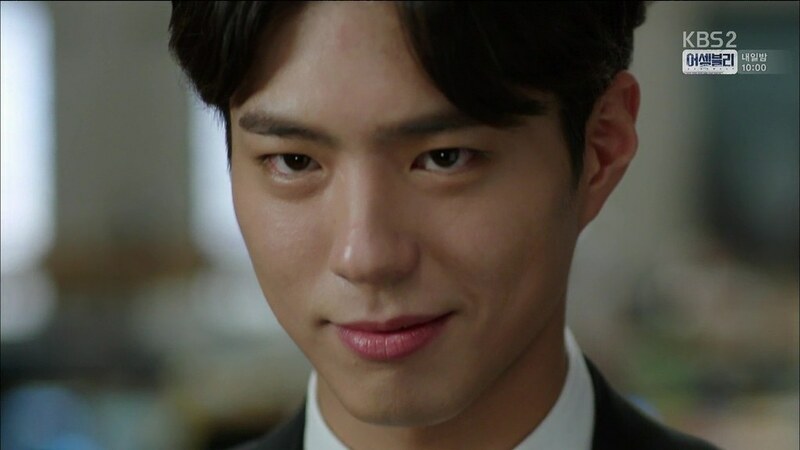 I always say that Park Bo-Gum’s voice is always swooning and soothing but in Hello Monster, there are times that his voice would give you creep. 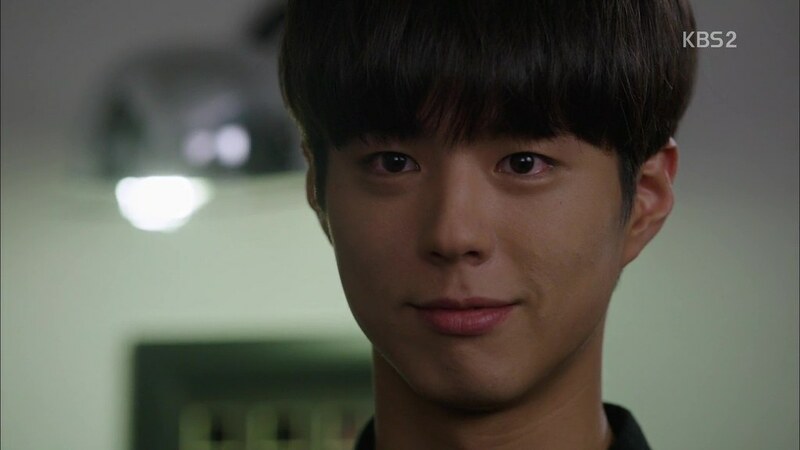 No wonder Park Bo-Gum’s performance in Hello Monster was praised by the audiences and the critics. Literally, everyone that has seen this drama. He really is amazing. Don’t get me wrong. Everyone in this drama did a great job but it was Park Bo-Gum that steal the audience’s hearts for his flawless acting. The vibe that he gave for his character is just outstanding, impressive, and amazing. 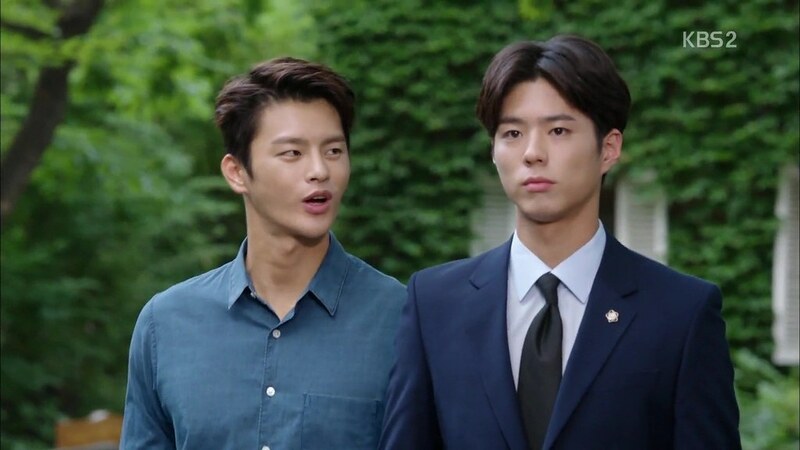 Jeong Seon-Ho looked cool as a smart attorney yet at the same time, Park Bo-Gum also gave his character a mysterious and thrilling aura. At other times, Jeong-Ho managed to look innocent, though it’s a different innocent from Choi Taek in Reply 1988. No matter how innocent Jeong-Ho look like, he still gave us some mysterious vibes unlike Choi Taek who was purely innocent—or rather, idiotic innocent. I am amazed how Park Bo-Gum can deliver a different type and vibe of innocent to his characters and he did it flawlessly. 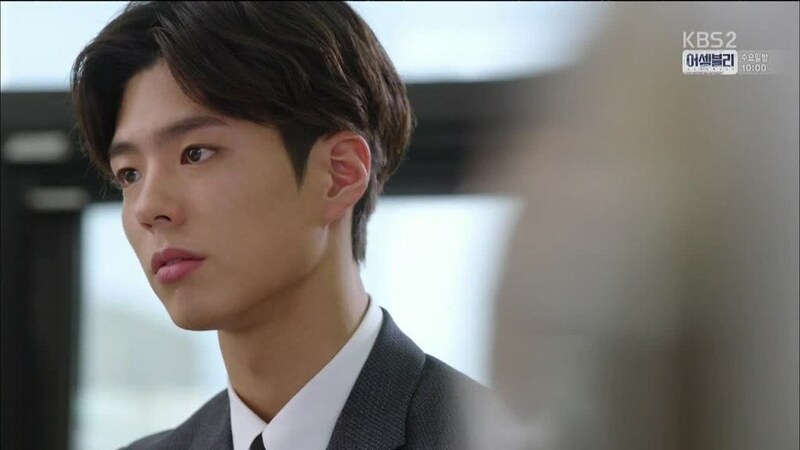 Because of Jeong Seon-Ho mysteriousness, we would keep on wondering and guessing whether he is indeed a psychopathic or it’s just his mysterious vibe that made him look like one. 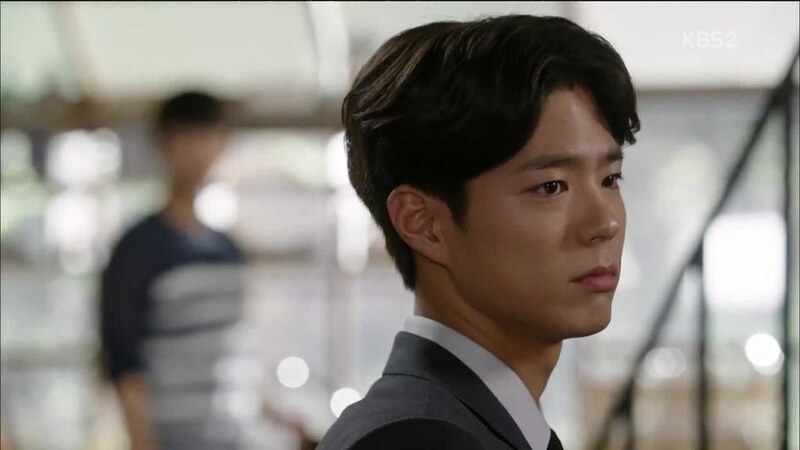 Park Bo-Gum could also give the vulnerability in his character. 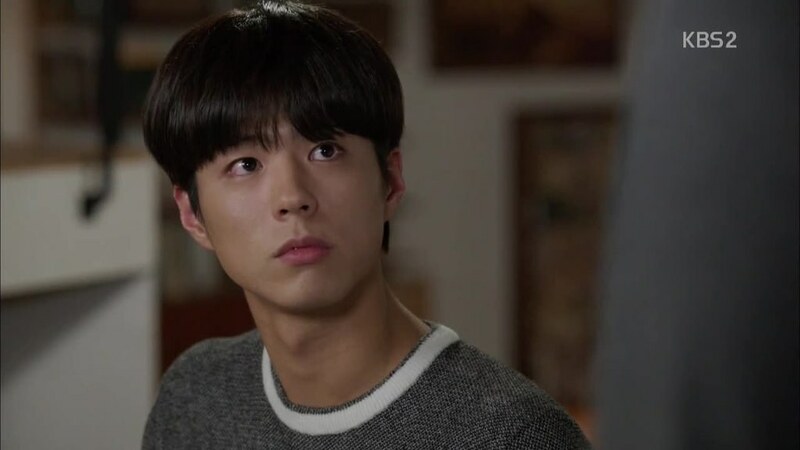 The way Park Bo-Gum fathomed his character is just amazing. 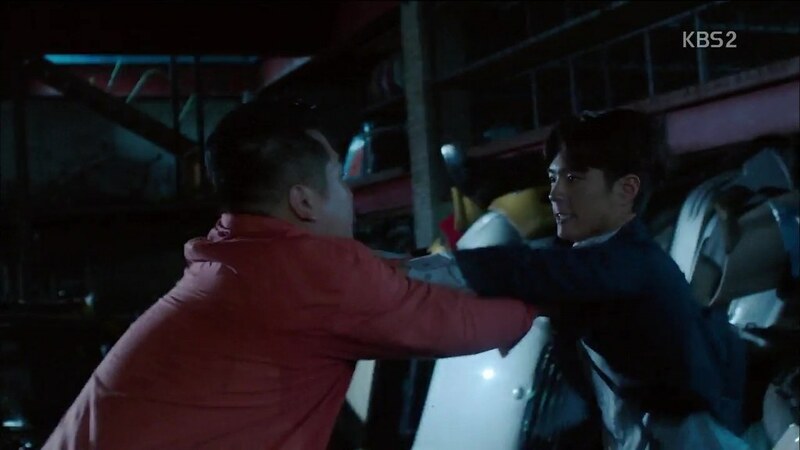 Not only he could do day-to-day scenes really well, Park Bo-Gum also did great in fighting scenes. He brought his character to life flawlessly. 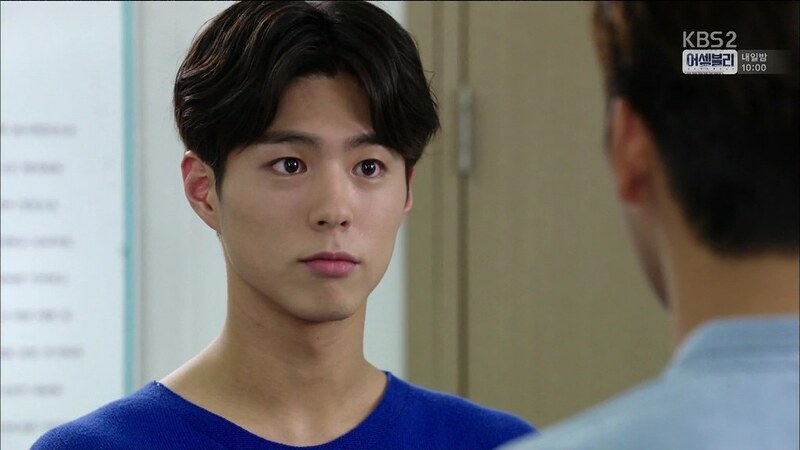 Like I’ve said so many times before, besides his gesture and facial expressions, Park Bo-Gum can speak with his eyes. His soulful eyes can really speak a thousand words and show you a thousand emotions—if that’s even possible. 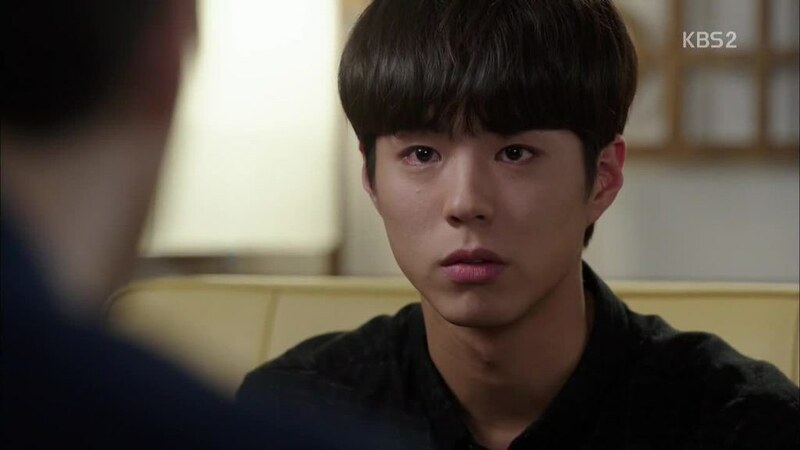 You can also see and feel the sadness in his eyes when Seong-Ho was feeling sad too. His teary eyes were really heart-breaking. The looks in his eyes were very amazing. 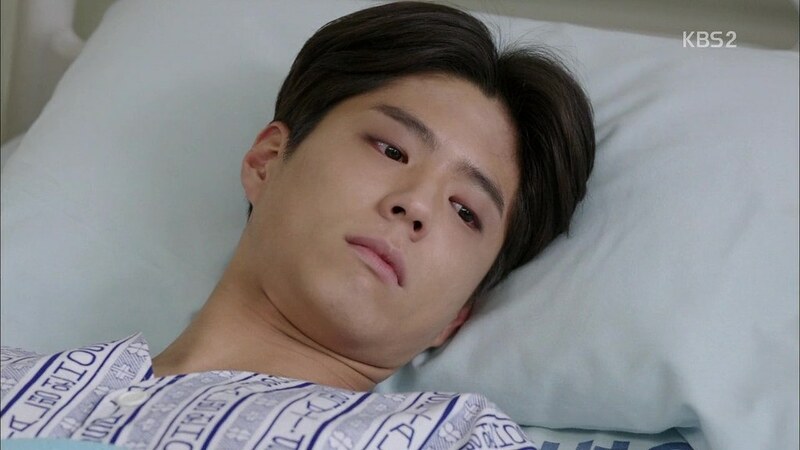 All I’m saying is Park Bo-Gum really embodied his character fully. In summary, Park Bo-gum has done a really really great job. 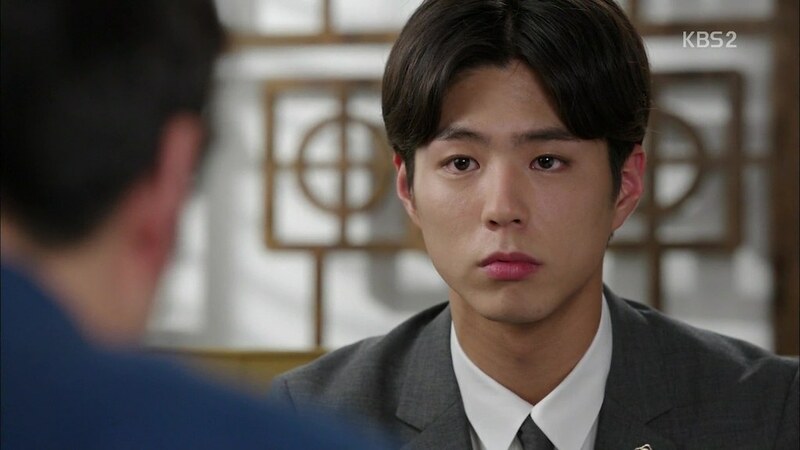 Park Bo-Gum has delivered a perfect performance as Attorney Jeong. Such an intense performance. He could really give you the chills. Jeong Seon-Ho is so mysterious that you would keep on wondering about his character until the end. Hello Monster is basically about psychopaths. Everyone seemed to be mysterious, including Lee Joon-Ho, a medical forensic that coincidentally lived next door to Lee Hyeon. Actor Choi Won-Yeong played the character of Lee Joon-Ho. Despite playing in so many dramas, unfortunately, I haven’t seen his drama even once. I heard he was great. He always delivered a good performance in every role he took. And they were right. Every facial expression that Choi Won-Yeong delivered was just spot on. He managed to make the viewers wonder what’s under Joon-Ho’s sleeve all along. His character got more and more important throughout the series and making the viewers more curious about him. Like Jeong Seon-Ho, Lee Joon-Ho is an enigma and a more difficult one. I am not a Kpop lovers but apparently, Do Kyung-Soo who played the role of teen Lee Joong-Yeong, is a member of Korean boy group named EXO. I know they were pretty famous but I have never heard their songs. Apparently Do Kyung-Soo, a.k.a. D.O., managed to attract the attention of the viewers. Well, since I don’t know him as a singer, I will speak of him in acting point of view. If you’re looking for a psychopath, Do Kyung-Soo did a great job in that department. His facial expression or the way he talked indeed looked and sounded psychopathic enough. I haven’t met a psychopath—nor do I wish, thank you—but I’m guessing it’s pretty much like how Do Kyung-Soo was portraying his character. While it’s a mystery whether Jeong Seon-Ho is really a psychopath or not, Lee Joong-Yeong is already a psychopath from the beginning. Do Kyung-Soo has done a great job in portraying his character. It’s been awhile since I saw Jang Na-Ra. I’ve seen Jang Na-Ra in her earliest drama, My Love Patzzi (2002), though I have to confess I don’t really remember much about it. Apparently, she’s also very active in the music world and doing great in that industry. Anyway, seeing Jang Na-Ra in Hello Monster as Cha Ji-An, I expect that her character would play a very important role. Yes, her role is important but not significantly that important. I don’t understand why the official poster for this drama is between Lee Hyeon and Cha Ji-An when basically, Hello Monster is about Lee Hyeon, Lee Joong-Yeong, and Jeong Seon-Ho. In the beginning, Cha Ji-An is in the spotlight. She somehow took quite an important part in Lee Hyeon’s life and an important role in helping Lee Hyeon. However, as stories went by, her character became diminished and it’s more interesting to see Jeong Seon-Ho’s role in the story. I am not saying Jang Na-Ra did poorly in portraying her character because she did the opposite. She’s doing really great, even when she has to do fight scenes, she did it very well. At some point, Cha Ji-An did look like a badass. I always like the character of a female police inspector or detective that can actually fight. Like Lee Bo-Young in Whisper (2017) where she played the role of Shin Young-Joo, a section chief police officer that can fight very well. At any rate, Jang Na-Ra has delivered a great performance as Cha Ji-An and I am pretty much satisfied with her. However, it’s rather unfortunate that her character is not the main story. Still, Cha Ji-An gave many good advice throughout the series. The chemistry between Lee Hyeon and Cha Ji-An is great. Both Seo In-Guk and Jang Na-Ra have made a great couple together. Since Hello Monster is not a romance drama, I understand that their interaction isn’t as much as other dramas and their relationship wasn’t given much attention either. However, compared to Whisper or Defendant (2017), Lee Hyeon and Cha Ji-An still gave more romance. They have some sweet moments together. If you seek a romance drama, I don’t think Hello Monster is the one for you. As I write this, I just realised how minimum the romantic scenes were there in Hello Monster. I really wasn’t aware when I watch the drama because I was too focused on the story. The story is so thrilling and so intense that I don’t mind the lack of romance. 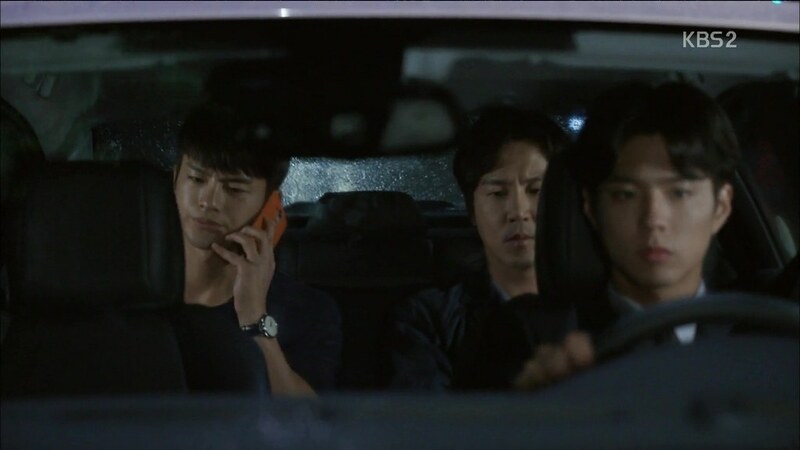 Rather than romance, Hello Monster has a lot of bromance in it. It’s fascinating to see the bromance between Lee Hyeon and his little brother all along. Their reunion is so heart-wrenching that it would ache your heart when you see them finally met again after all those years. I love one song from the soundtrack of this drama. It’s called Remember, sang by Dear Cloud. That song is perfectly suited for the relationship between Lee Hyeon and his brother. The sweetest thing is that the young actors who played the role of young Lee Hyeon and Lee Min are actually brothers in real life. Isn’t that so sweet? Both Hong Hyun-Taek and Hong Eun-Taek delivered a great performance as Lee Hyeon and Lee Min despite their young ages. 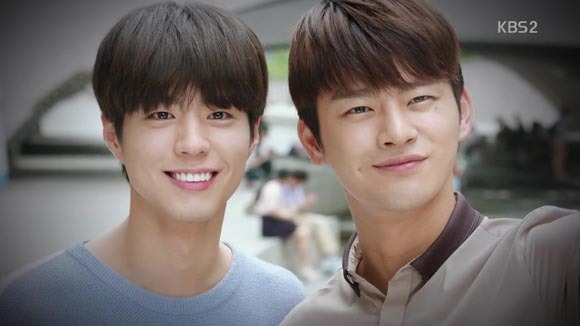 The chemistry between Seo In-Guk and Park Bo-Gum was something you would look forward to. The hatred, the rivalry, or the concern that built between their characters were interesting. Definitely bromance material. It’s not always sweet or funny like the usual bromance story, but it is very interesting. 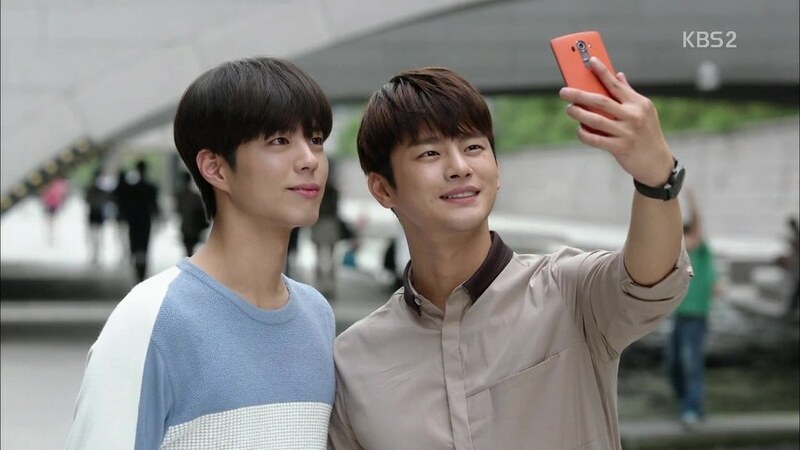 Seo In-Guk and Park Bo-Gum were able to show their emotions towards each other really well, thus making a very good chemistry between their characters. Their emotions were perfectly delivered and would make the viewers feel the love and hatred between them. I don’t understand why Hello Monster got such low ratings when the story was so great. Truly. Perhaps the lack of romance is the problem. Perhaps. But at the end of the day, the overall story is supposed to be what matters and each and every actor and actress in this drama has delivered a great performance that worth praises. 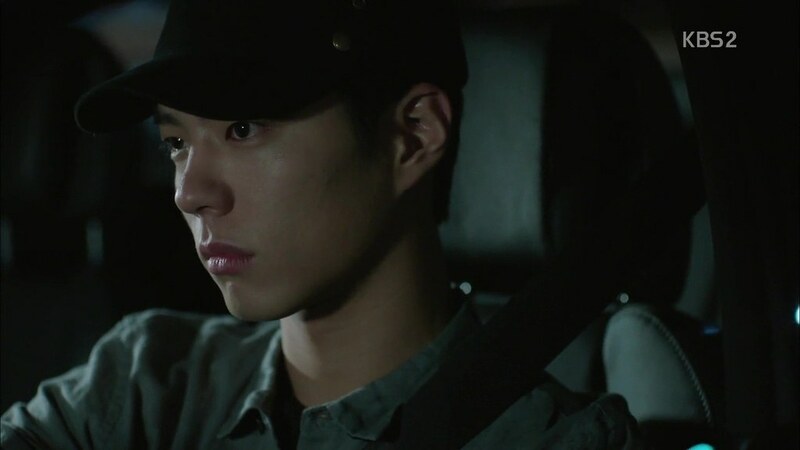 The story of Hello Monster kind of reminded me of You’re All Surrounded (2014), but with a more thrilling story. Hello Monster has much more murder cases and told a story of psychopaths in psychopath’s perspective as well. The way the writers unfold the truth bits by bits is great and felt natural. Even the character twist at nearly the of the series is something you wouldn’t expect. Well, there were some clues before and I have my suspicions as well. Still, it turned out to be surprising and unexpected. It’s just great. Now that’s a plot twist. 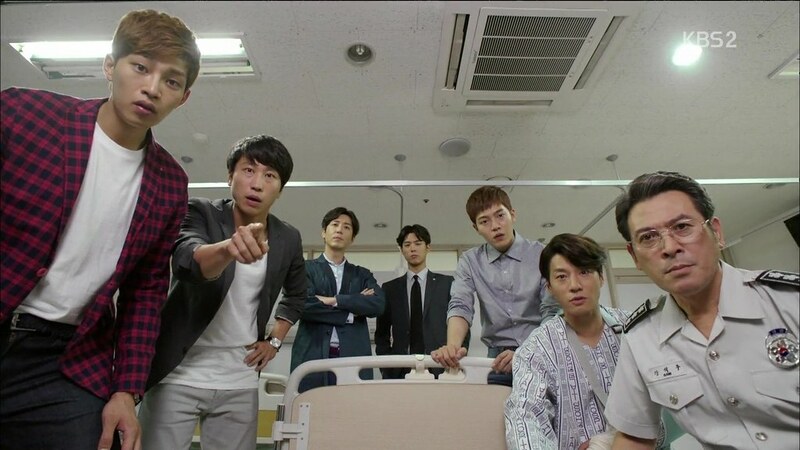 The special team force in the story is also reminded me of You’re All Surrounded. 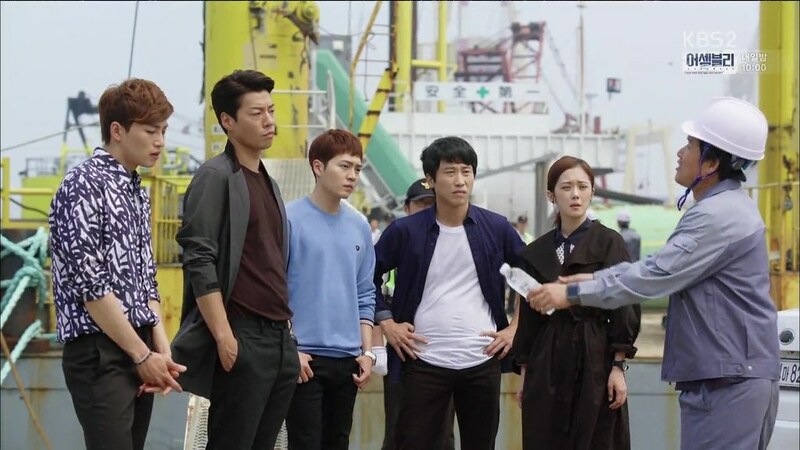 With one female detective on the team, you can see the similarity of both dramas. 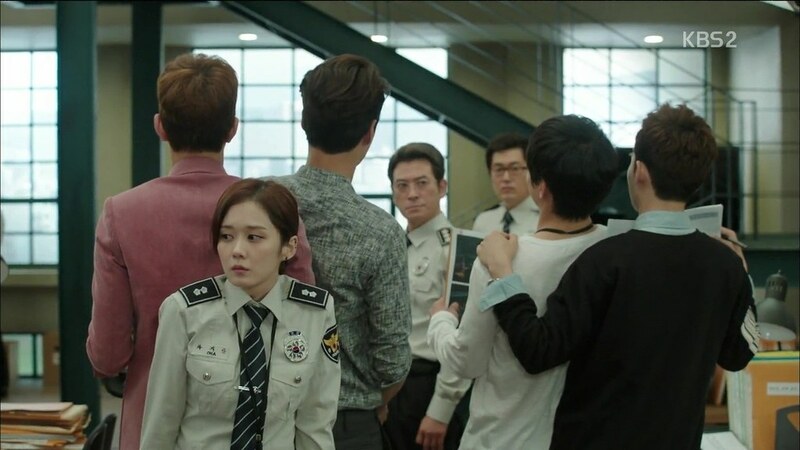 However, in Hello Monster, the team leader was not as strict as in You’re All Surrounded. They basically investigate a different kind of crimes as well. 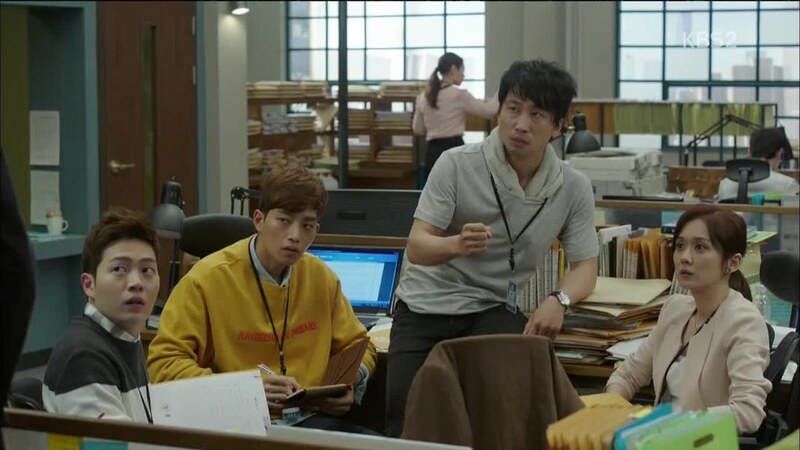 I like the chemistry between the special team member, especially the character of Son Myung-Woo played by Min Sun-Wook. His character was able to give us a bit laugh in the midst of thrill. Aside from Min Sun-Wook’s character, the character of Na Bong-Sung played Choi Deok-Moon, could also entertain us. His screen time in the drama wasn’t much but every time his character showed up, we could at least smile a little bit. The tension throughout the series is pretty high, therefore some laughs and smiles could always be useful. I never expected to have any sympathy to the antagonist, let alone a psychopath antagonist. 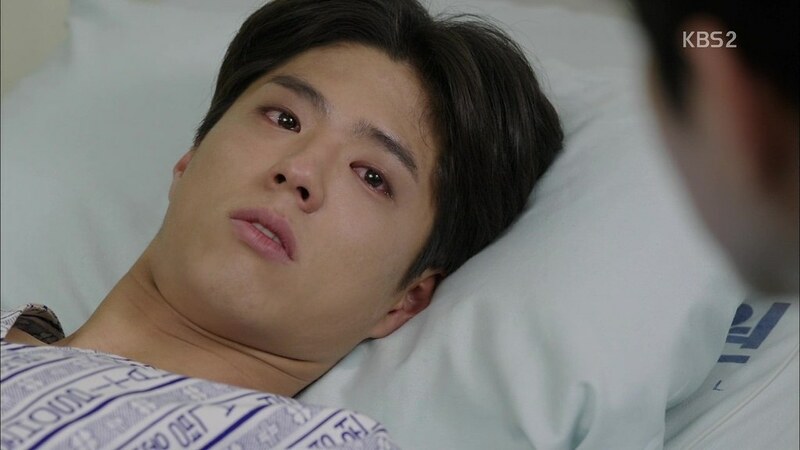 However, in Hello Monster, the writers managed to stir our emotions for the characters. At some points, we would pity them. I really didn’t know what I wanted for those characters. It’s confusing enough. You knew what they did was bad but at the same time, you understood why they did what they did. However, those things they did couldn’t be justified either but at the same time, you kind of pitied them too. Their reasoning made sense but what they did is just wrong and immoral. It’s really a back and forth feeling. 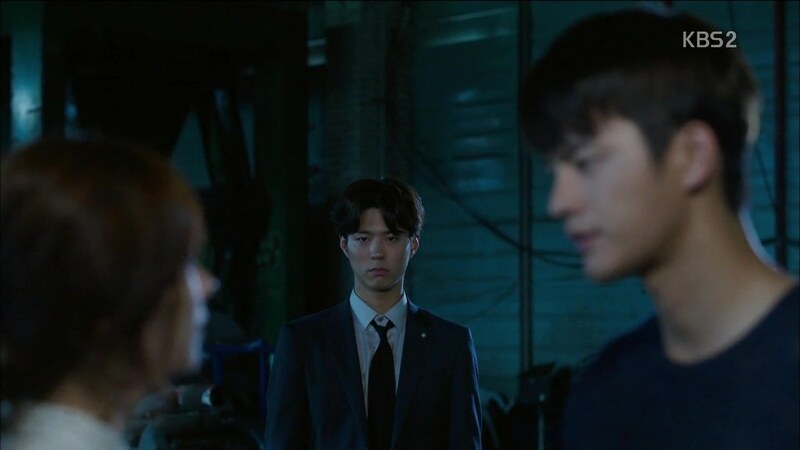 I am not trying to understand a psychopath’s mind but in Hello Monster, the writers have told and shown us a new sight from psychopath’s perspective. The writers managed to make the tone of this drama stable from the beginning until the end. It remains solid through the end and that is why Hello Monster worth to be called a good drama. This drama was filled with so many complicated characters with complex stories as well. The crime incidents that happened throughout the series seemed to be connected one after another yet at the same time, not at all connected either. I really don’t expect Hello Monster was going to be a good drama due to its low ratings. Then again, never judge a book by its cover. In this case, never judge a drama by its ratings. Many times the ratings did reflect the story but not all the time. Sometimes, even the ratings were low, the story of the drama was actually very good. Hello Monster is one of those dramas. I am glad that I ended up watching. 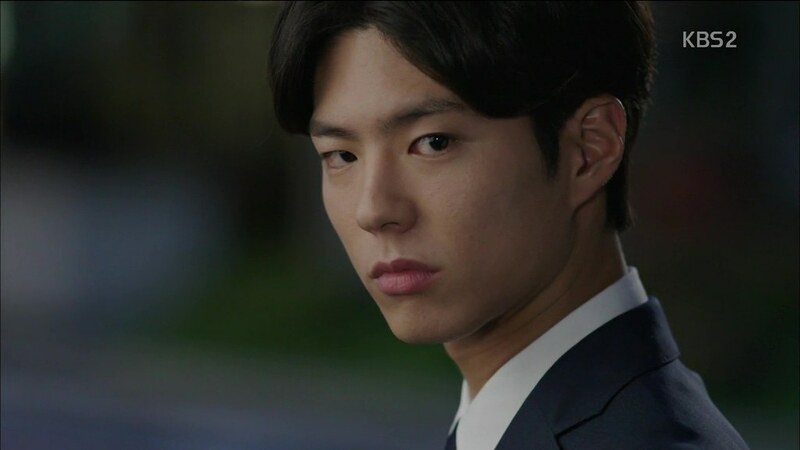 Of course, I can’t deny the fact that it was Park Bo-Gum that made me wanted to watch this drama in the first place. 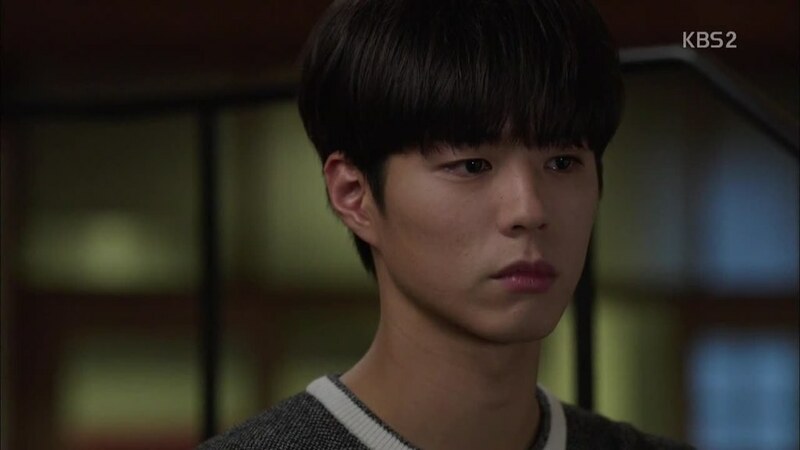 Like everyone said, Park Bo-Gum’s performance in this drama is really outstanding. I am not in the least disappointed watching this drama. Like any other Korean dramas that I’ve seen so far, the production team has done a great job in creating the setting places, the costume, and the makeup. Every little detail was counted. The wounds, the corpse, the decoration in the houses or offices or hospitals, everything was thought thoroughly. The production team and the writers were very meticulous that nothing seemed to be left out. Great job, indeed. Even when they tried to promote a product and give some endorsements, they did it flawlessly so it wouldn’t feel awkward. All things seemed to happen normally. All in all, Hello Monster is a great drama and an enjoyable one, especially to those who love crime, thriller, and mystery stories. This drama has it all. Not too scary but enough to give you the chill. Despite the lack of romance story in Hello Monster, I still love this drama very much. 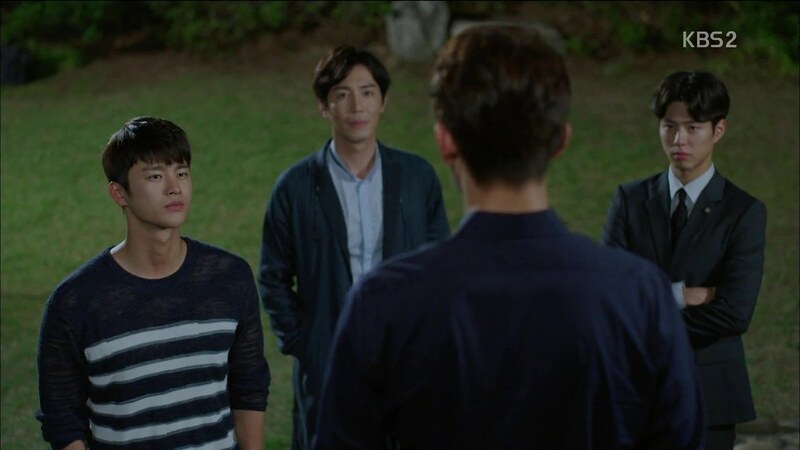 Rather than romance, Hello Monster is more of a bromance story after all. I don’t think this drama is about Lee Hyeon and Cha Ji-An at all. It’s all about Lee Hyeon and his little brother, Lee Min. Seeing how many times the relationship between Lee Hyeon and Lee Min could either warm or break your heart. The writers really played our emotions. 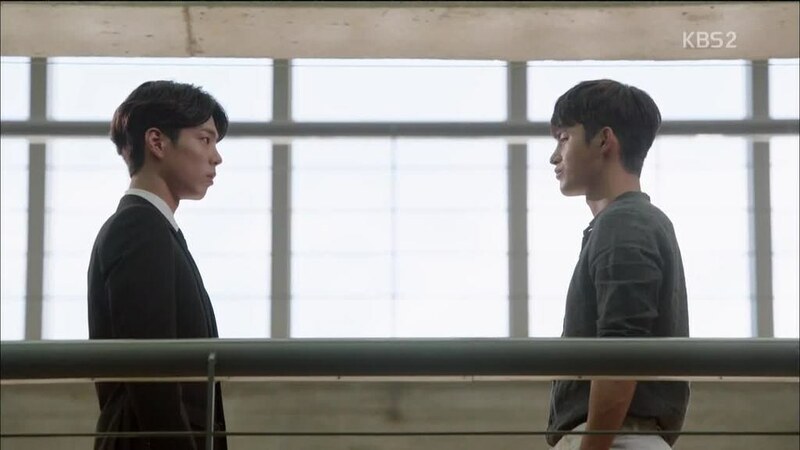 As for the ending, I won’t say I am very satisfied by it because I was expecting more of the bromance ending rather than the romance ending but I am not saying I am disappointed with the ending either. Everyone got their own endings except one or two few things that I want to change. Then again, not everyone can get what they want unless you’re the one who wrote the story, right? Be that as it may, I really like the overall story of Hello Monster. The story of Hello Monster would stir your feelings throughout the series. Every cast has delivered great performances, especially Park Bo-Gum who managed to catch the attention of all audiences. So it’s not just me. 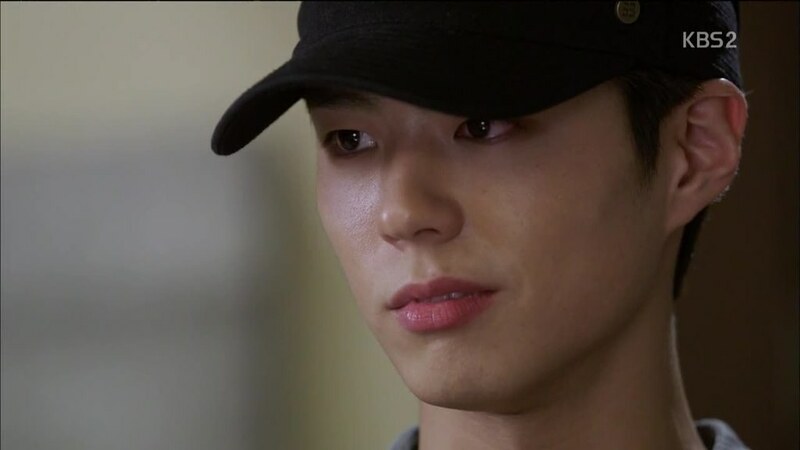 At any rate, Hello Monster has validated my adoration and my love for Park Bo-Gum. He really can play many characters perfectly. Apparently, Park Bo-Gum don’t just have flawless personality in real life but can also portray his character in dramas and films flawlessly too. I really look forward to his drama in the future. 😍 😍 Hello Monster is a great drama with complex stories and characters. It’s intense, thrilling, and confusing—in a good way. It’s creepy, sad, and sometimes even funny. I believe Hello Monster is worth to watch after all. Never mind the low ratings, because everyone agrees Hello Monster is a great drama. I give Hello Monster 9 out of 10 stars.